Flexible caterpillar in two colours made of FSC® 100%-certified wood. 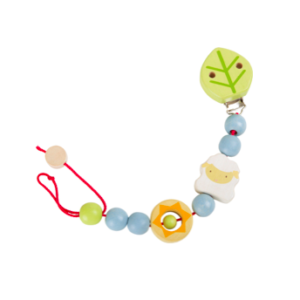 This toy can be bend in any direction with its flexible rubber band and help the litte ones practise their motor skills. These cheerful, colourful caterpillars made of FSC® 100%-certified wood can be bent in any direction. A strong rubber band keeps all the elements together and the caterpillars are therefore a great toy for the very young to practise their motor skills.